This summer the Marvel Universe will get a little more red, after supervillain Cletus Kasady makes his return in Absolute Carnage. During today’s retailer panel at C2E2 in Chicago, writer Donny Cates revealed the first details about Marvel’s new crossover event. In the story, Cletus Kasady will go after every person who’s ever been in touch with a symbiote. According to Marvel the event will have “connections to almost every Venom and Carnage story since”. Cates also joked about his expectations to out sell the best-selling comic book of all time, Jim Lee’s X-Men #1. 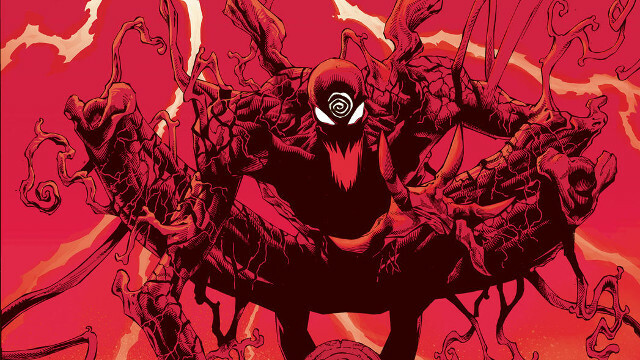 Absolute Carnage sees Donny Cates teaming up with illustrator Ryan Stegman and colorist Frank Martin, the current Venom creative team. The crossover event will kick off with Free Comic Book Day’s Spider-Man/Venom #1 story, which arrives in stores on May 5. 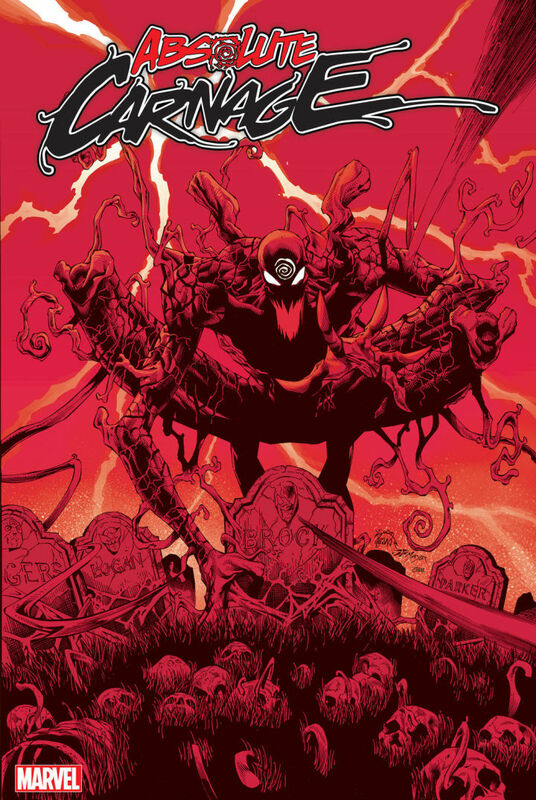 Absolute Carnage flies into stores in August. Who do you think will be Cletus Kasady’s first victim? Let us know in the comments section below.